Gain more work space or covered loading area without the obstruction of extra side columns. Asset Building can offer your business more space using your existing warehouse or industrial shed! Custom-built to tie into your existing shed/warehouse structurally & aesthetically. 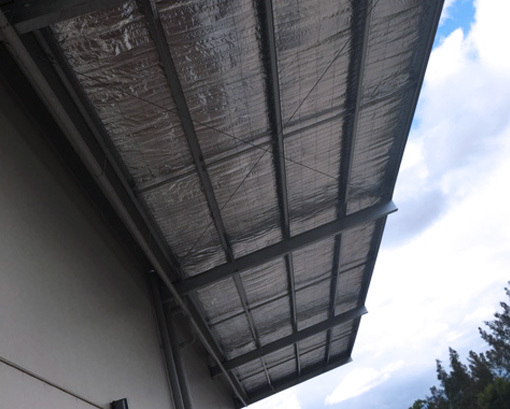 Your customized awning structure can be designed to tie into your existing warehouse building, with all storm-water, insulation etc. taken care of by our expert team of installers. 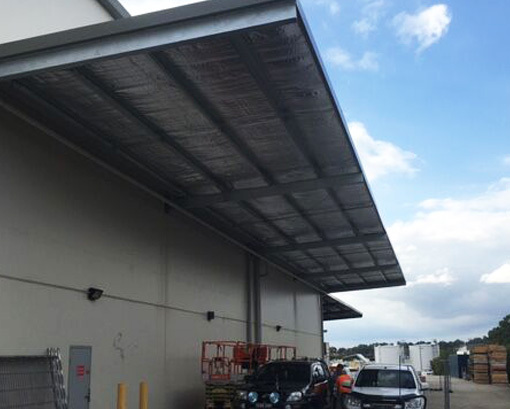 "​I arranged the installation of a 36m (shed) awning by Asset Building systems at our very busy commercial site in Western Sydney. I was thoroughly impressed with Asset's professionalism, care and due diligence on providing the required safety information, communication on project progress and managing an install at an operating site with numerous challenges. In a role that usually requries me to manage tradies like a herd of cats it is refreshing to have a company like Asset supply info unprompted, ontime and in a easy-going manner. The awning also looks great and suits the need perfectly. Highly recommend this company and will use them in the future. "